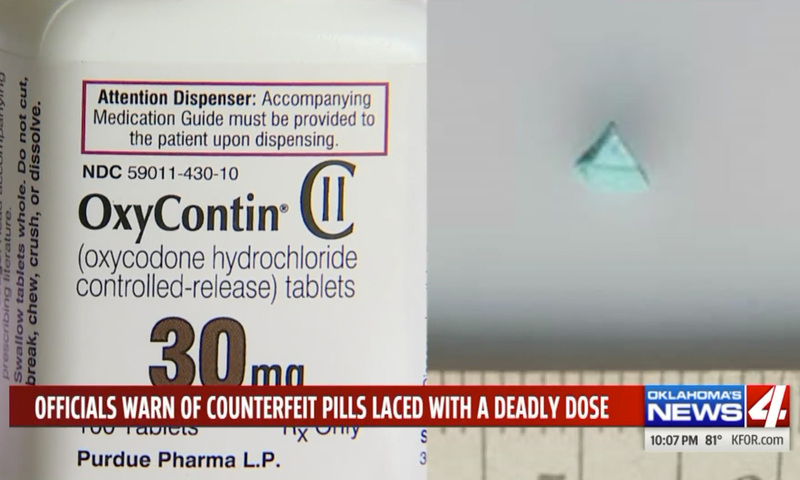 State narcotics investigators are warning the public about counterfeit prescription street drugs sold to at least two people in recent weeks, resulting in one death. With names like China white or carfentanil, the illicit synthetic opioid fentanyl found in the pills can be anywhere from 10 to 1,000 times stronger than heroin or morphine. “And, people won’t know it,” Woodward said. Right now, it’s unclear if the fentanyl is being purchased from overseas and pressed into fake prescription drugs in the U.S. or the fake pills are being bought directly from overseas suppliers. Thousands of Oklahomans have died over the last several years due to drug-related overdoses, a number caused by prescription opioids. Woodward said the discovery of illegal fentanyl is a new development on the ongoing battle and the hope is to cut off the source before more people die.